St Kilda scrapped their way to a one-point opening round victory over Gold Coast at Marvel Stadium. The Suns battled all the way and after trailing at three-quarter time they took the lead when they kicked the final goal of the game through Wil Powell. With four minutes left, Jack Lonie's behind gave Alan Richardson's side a 13.7 (85) to 13.6 (84) victory. The visitors missed a chance in the final seconds when Darcy Macpherson's kick went out on the full. The two teams managed just four wins each last season, and the Saints made it clear they expected much better this year. They haven't been helped, though, by the loss of Jake Carlisle and Dylan Roberton to long-term concerns. And Gold Coast had the home crowd hushed when they kicked four quick goals in the first quarter to lead by 17 points. Boosted by four-time club champion Jack Steven, who finished with 23 disposals and 10 clearances, the Saints hit back when they booted five goals to two in the second term. Steven, who battled mental health issues in pre-season, was forced from the ground midway through the final term but returned with his head bandaged. Steven was on the end of a high hit midway through the final term and was forced from the ground but returned soon enough with his head bandaged. Alex Sexton impressed for the Suns with four goals while two last-quarter goals from David Swallow - playing forward because of a sore knee -put the visitors ahead. Jade Gresham was a key player for St Kilda with a game-high 10 clearances and it was the home side's ability to win the clearances (46 to 40) that proved the decisive factor - they outscored Gold Coast eight goals to five from this source. St Kilda are 1/1 to finish in the top eight. 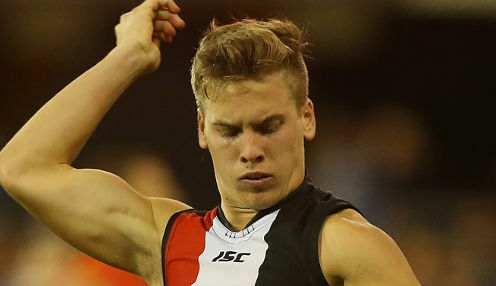 The Saints are 11/5 to win their next game against Essendon, who are 19/50.